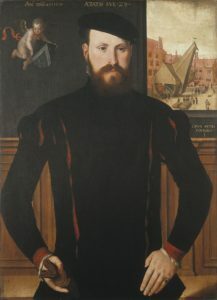 Pourbus’ early work was a mix of the traditional Flemish style of the early sixteenth century and Italianate influences brought north by his peers such as Frans Floris. 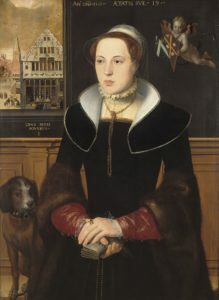 He later he began to adapt Italian influence more and more, thus his later works can be considered early Flemish mannerism, which still contained some idioms of the traditional northern style. He never traveled to Italy and instead looked to his peers for stylistic influence. The Groeningemuseum in Bruges displays many of his works. See Wikipedia for more on this great painter.